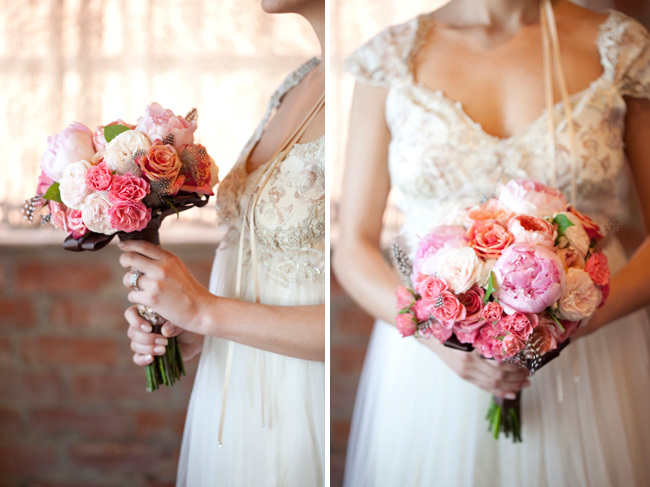 I love Claire Pettibone‘s gorgeous wedding dresses. Her newest collection is entitled “Tea for Two.” Some LA area professionals were asked to interpret that feeling and aesthetic into what could be that bride’s wedding. 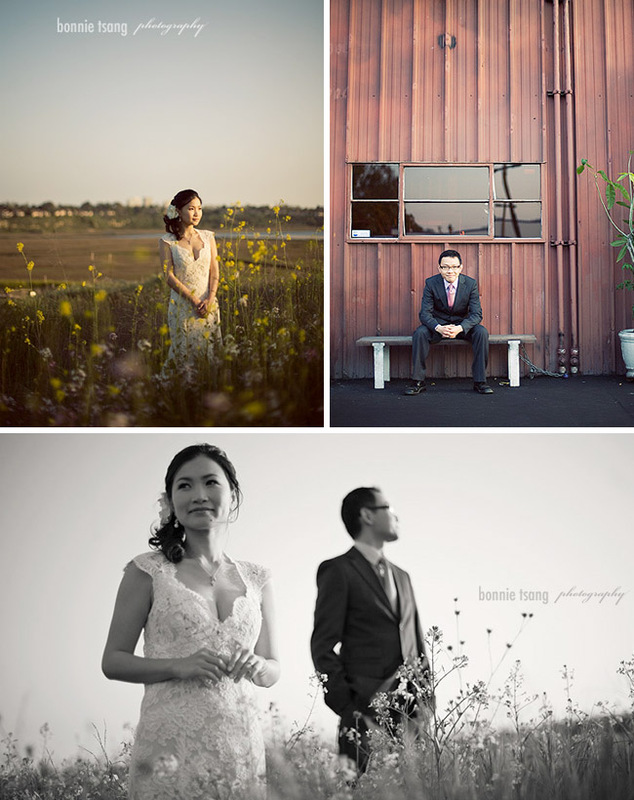 They were kind enough to share their romantic result with us today :). 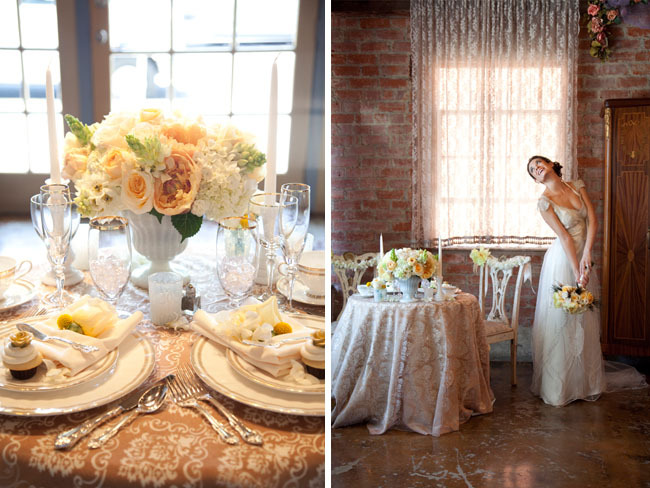 A sweetheart table complete with antique chairs and large orchid and peony bride + groom detailing on the backs. 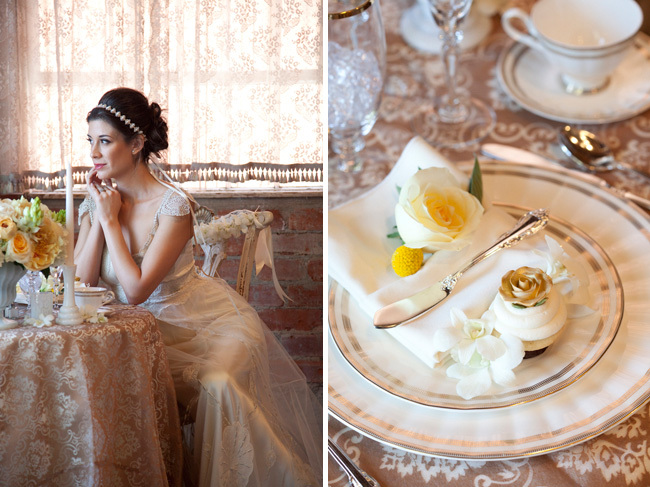 The tabletop was dressed with a vintage damask sheer latte overlay draped over a butter cream linen. The bride wore the Emma dress from the Tea for Two collection, a light dusty rose and pewter embroidered empire silhouette with flowing blush silk and tulle skirt. 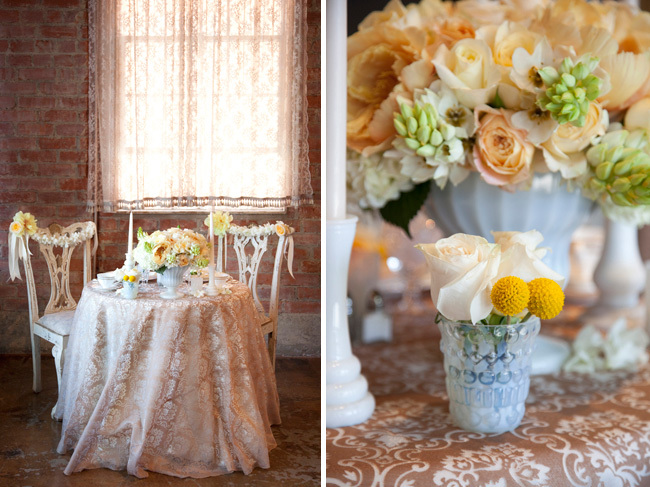 Centered around the gold trimmed china and stemware was a centerpiece of antique garden roses, large gold peonies, star of Bethlehem and cream hydrangea pouring out of a vintage milk glass pedestal vase. Small milk glass candle holders and petit vases filled with fresh blooms accented the table while a mini cupcake complete with gold rose made from frosting adorned each charger. 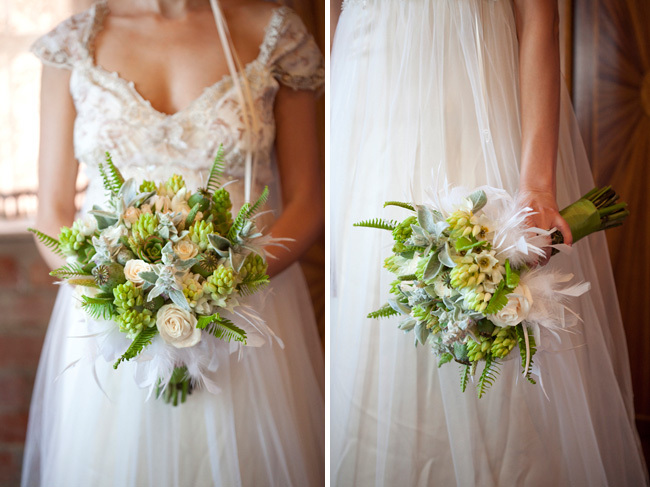 And how gorgeous are these two additional bouquets! Love them. 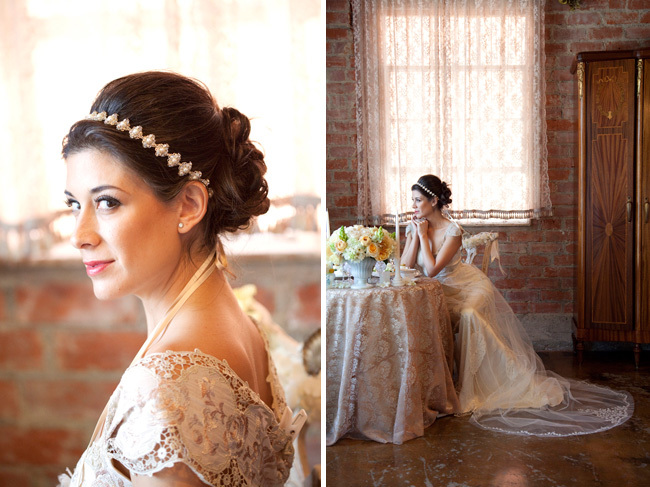 i love this – claire’s gowns are GORGEOUS and the mood of this shoot is perfection! 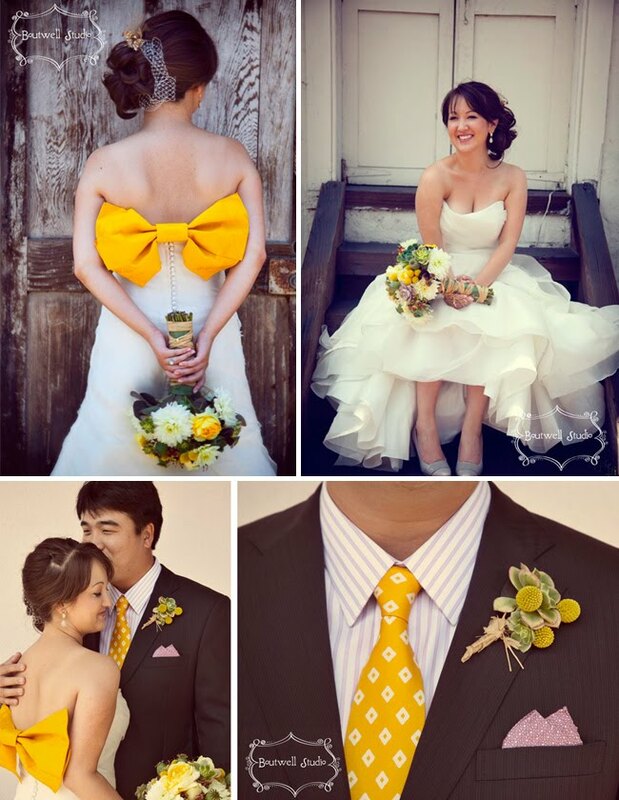 What a pleasure it was working with these amazing vendors! 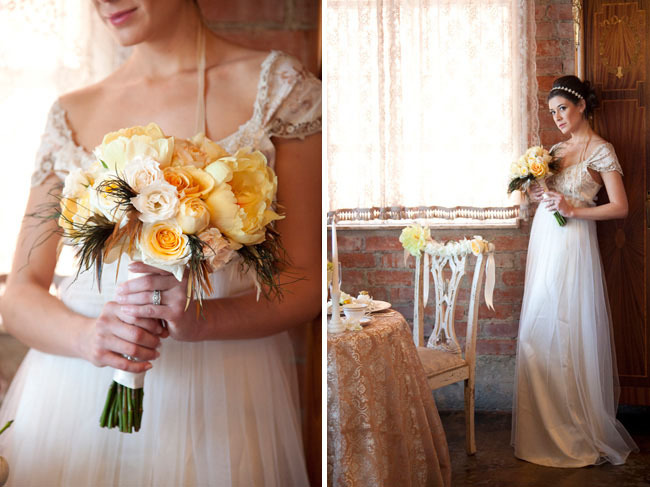 Claire Pettibone’s collection was such an effortless inspiration: warm vintage, flowy & so romantic! 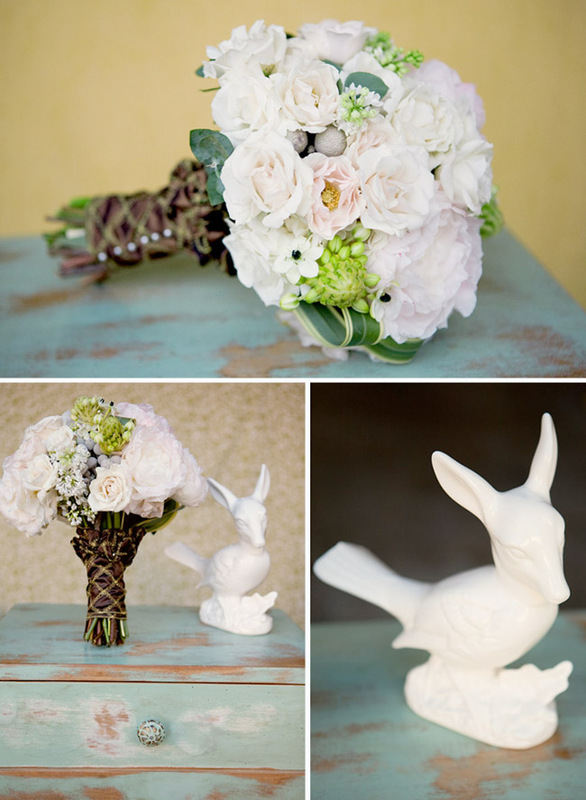 Styling the table and bouquets for this event was a pure delight! Thank you to everyone who participated!